If your home has been broken into, you will be upset and frightened. You may even feel vulnerable and lost. This can make it difficult to think about the next action you should take. However, there are some things you need to do in order to start moving forward. Even if you don’t believe anything was stolen, you still need to file a police report. You want this burglary on record, which is needed in case you have to file an insurance claim. Also, filing the report may offer the police an opportunity to retrieve your belongings and catch the thief. If you are in the house, make sure that you don’t touch anything until the police arrive. There may be evidence that the police can collect in order to find the prosecute the burglar. If you’re not inside your house when you discover the break in, do not enter the house. 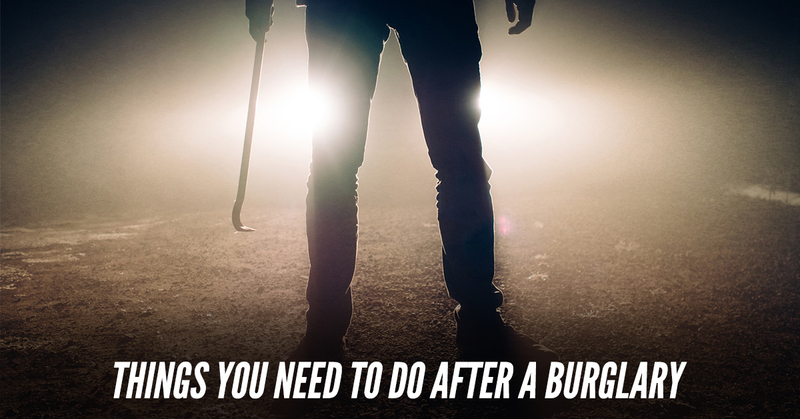 Wait outside for the police to arrive, in case the burglar is still in your home. If you saw someone leaving your property, quickly write down any descriptive information. This information can include age, gender, clothes, and identifying marks. If you saw a person leave in a vehicle, write down the information about the vehicle, including the make and model. Also, note the direction the person was traveling. When the police arrive, start making a list of items that were taken. Make sure to write a basic description and approximate value. If there are identifying marks on the item, make sure to include that information. Make a copy of the list and police report for the insurance company. If you have homeowner’s or renter’s insurance, call the company or visit their website to file a claim. You want to call the company within 24 hours. The information you submitted to the police is the information that the insurance company will want you to send them. After the police have finished their investigation, clean up your home. 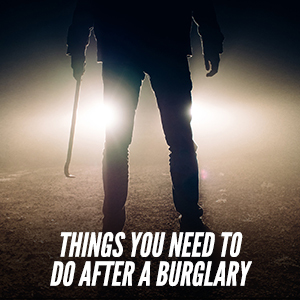 It may take time to get physically prepared to clean up after the burglary. However, you want to at least secure your property as soon as possible. If a door or window was broken, call a repair person to board it up until it can be professionally repaired. After a break in, you want to check your security system and the security of your home. You may decide to add additional security features like window and door alarms or surveillance cameras. You might also look into other ways to protect your home like removing bushes in front of your windows or adding motion sensitive lighting.